On Tuesday 26thFebruary, the inauguration ceremony was held for the commissioning of the 246 kWp solar installation on the roof of Kamal Osman Jamjoom Co. L.L.C., situated in Dubai Investment Park (DIP). 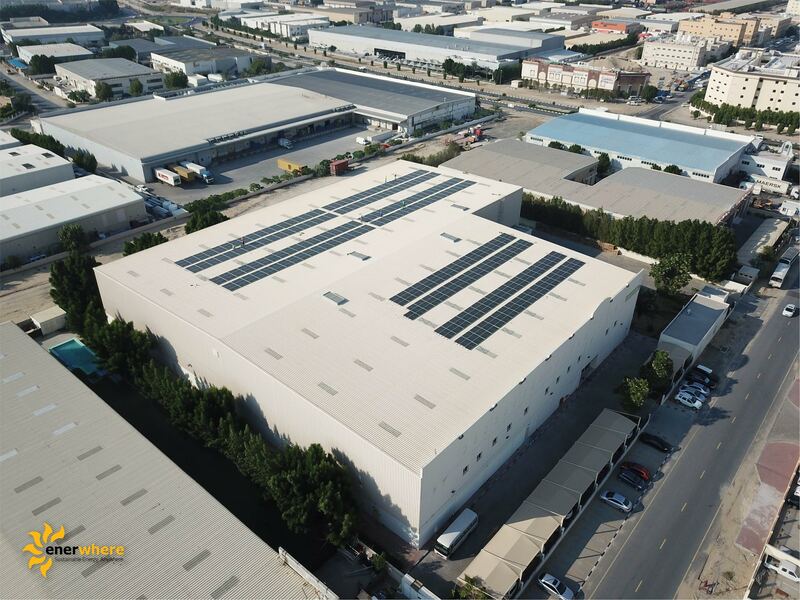 The entire rooftop installation was managed by Sara Oda, a project manager for Enerwhere, the leading DEWA certified solar PV contractor based in Dubai. Sara is one the first female engineers at Enerwhere to manage an entire project single-handedly, from start to finish. Thanks to her efforts, this rooftop will generate approximately 396 MWh electricity and reduce 200 tons of CO2 emissions annually.